These knife sheaths are made here at my shop in Oklahoma from top quality rough out buffalo leather giving them a unique look and feel. 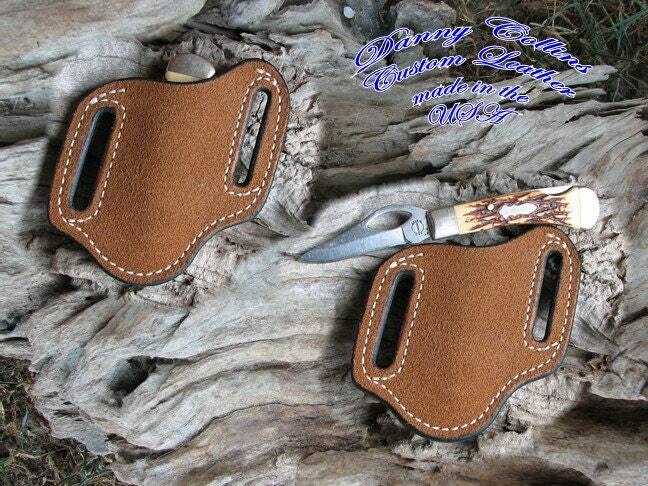 The sheaths are lined with the finest American made veg tanned leather available insuring it will last for years. 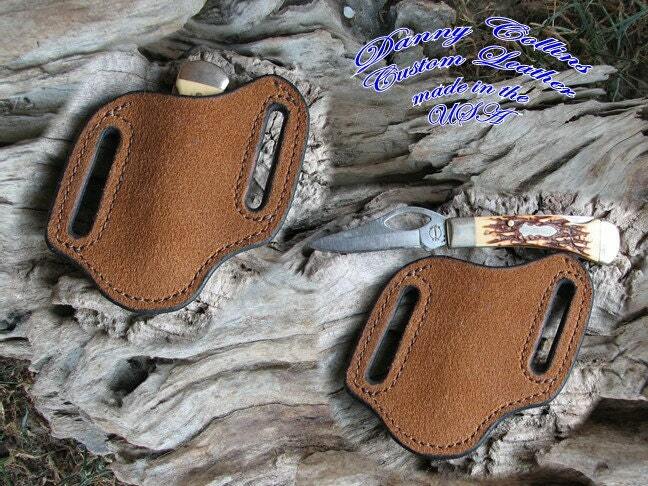 This sheath fits small folders like the Case Mini Trapper and other similar sized folding knives. Available with white or brown stitching, the sheathes are reversible and can be worn on the left or right.